I am sinking in the shadow of a beautifully textured Ram Kumar painting, into a super-plush sofa even as I type these lines. In the Taj Mahal Palace’s Heritage Wing, I am soaking up to the gills in luxurious well-being. The Dutch Suite is open planned and airy and presented a surprising panel print of peaches, pomegranate and passion fruit, opening out to reveal a TV screen with B & W sound bar for perfect acoustics. The walls are wood panelled, the flooring parquet, the chandelier is made up of chain-like links in transparent glass, the screen is latticed wood and on the large wooden table sits the silver wine bucket with remnants of the previous night’s Chardonnay indulgence. And yes, the chocolates have a print of the hotel building’s familiar dome on them. This certainly is like being exclusively, in heaven. The Taj Mahal Palace’s new rooms and suites were opened recently to great fanfare by the big man himself, Ratan Tata, Chairman, Indian Hotels Company Ltd. Enduring images of the Taj staff cheering the occasion on the building’s iconic staircase hit the morning papers together with the hearts of readers who had supported the hotel’s brave fight for normalcy following the violation of 26/11. But today, the hotel has moved on and beyond with its refurbishing and revitalising efforts. While the grand exterior which is a blend of Moorish, Oriental and Florentine styles remains the same, the interiors have emerged brighter, spankier, offering modern amenities with its century-old charm. 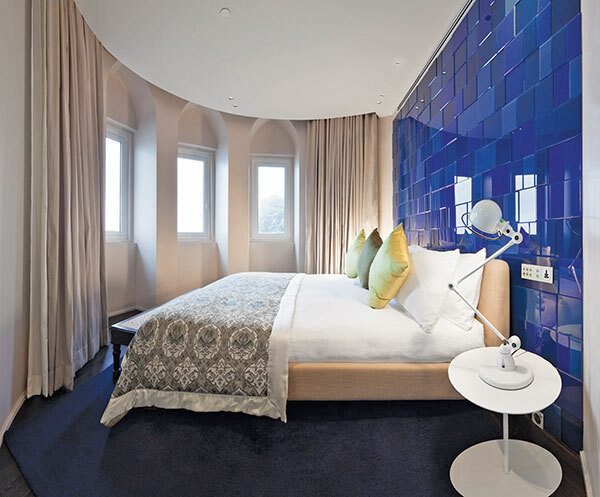 The rooms and suites that have hosted maharajas, princes, heads of state, royalty and rock stars, have been restored and refurbished by internationally acclaimed designers Lissoni Associati, Milan; BAMO, San Francisco; DesignWilkes, Malaysia and James Park Associates, Singapore. The Palace accommodations are redolent with precious art and state of the art technology. The suite experience offered by the Grande Dame of Apollo Bunder is more than a luxe living space, I discover over a Cosmopolitan and zingy wasabi nuts at the Palace Lounge, exclusive to Palace dwellers. The tea buffet is long over and the cognac and chocolates not laid out yet, but the checkerboard marble flooring, leather sofas, crystal chandeliers and plush velvet chairs in peacock hues have a soothing effect on the senses. You can smell luxury here along with a subtle hint of aromatherapy. We had been led down by Vinayak, our butler, who, in full regalia, appeared before us like a genial genie, looking to fulfil all our wishes. His white gloves neatly on, he pottered and pampered, making us feel like contemporary royalty. He is the point of contact for the guest whether he requires his shoes shined or tickets booked. He will even draw your bath! Our butler has been at work. The tub in the large and magnificent bathroom reveals fresh bubbles sprinkled with marigold flowers, while soft candles have been lit on the bathroom shelf in royal style. A long soak is called for and unlike the princes of yore, a miniature television screen in the mirror keeps you posted on the goings-on in the kingdom, without having to leave the bath rituals! The butler is beginning to feel like my new best friend, as he approaches with a menu of pillows. A good ponder reveals that I will go with the white goose down variety while my husband chooses microfibre. By now, we trust our butler enough to let him plan our meal to be had in-suite. A scroll on a silver salver heralds the menu and we settle for chilled asparagus, marine chowder, Norwegian pink salmon and raspberry and thyme cheesecake. Some well-chilled Chilean chardonnay appears. The wine is not too sweet which suits my palate perfectly. Vinayak is back with a trolley covered in starched white linen and dinner. Under the magnificent, contemporary chandelier, his bowtie firmly in place, he serves us with gentle aplomb, waiting discreetly in the shadows. My goose down pillow now calls me to bed in the semi-circular bedroom. Curtains are drawn all around to keep the night out, the pillow lives up to its claims of providing a good night’s sleep and I float happily off into suite dreams and nocturnal bliss. Only to be awoken by the morning alarm that rings promptly at 7 am. The breakfast trolley brings us the morning butler bearing coffee and warm croissants just like we desired. Suite dwellers can partake of the breakfast spread at the hotel’s iconic, sea-facing coffee shop, the Sea Lounge, but the night’s dinner sat heavily. And now here I am, on this sofa, telling myself, that yes, I do deserve this coddling. Living in luxury proves to be more than a sparkling glass of wine, a good meal, followed by a cushy pillow. Good hospitality makes you feel loved. And wanted. Great hospitality gives you good reason to be alive! Built by Jamshedji N. Tata in 1903. It predated the Gateway of India by almost two decades. The first hotel in India to have electricity. 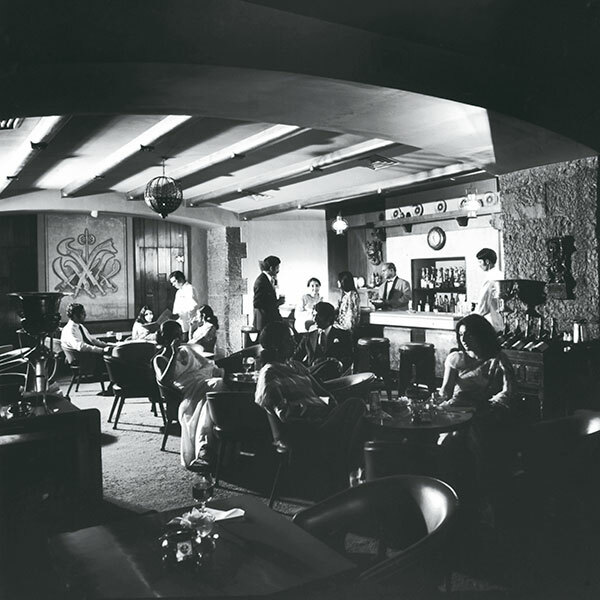 The Harbour Bar was India’s first licensed bar. The first hotel to have an ‘ice machine’ and therefore was able to serve oysters and champagne before anyone else. Veteran artist Jehangir Sabavala and Muslim leader Muhammad Ali Jinnah famously proposed to their respective wives, at the Sea Lounge. The Crystal Room was so named due to the chandeliers donated by Jinnah’s Parsi wife, Rati. French cabaret artist Madame Pompadou was a hit for three consecutive years, after which she decided to live in India as a designer and conducted the first ‘Hollywood ramp show’ in the country in 1940. 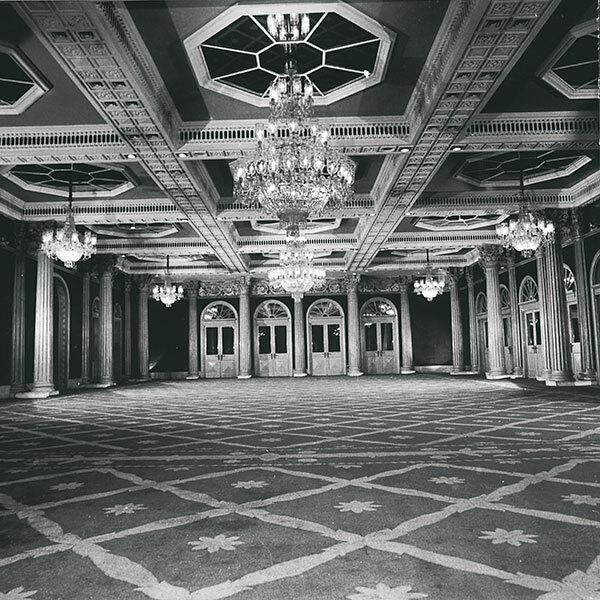 The steel used in the pillars of the Ballroom is the same as that used in the Eiffel Tower, Paris.